If you are building a V8 swap around a Vorshlag kit for a BMW E36, E46 or Z3 -or- the Scion FR-S/BRZ/86 chassis you will need this starter. This is the 1998-2002 Camaro starter that works with the bellhousing we also sell. 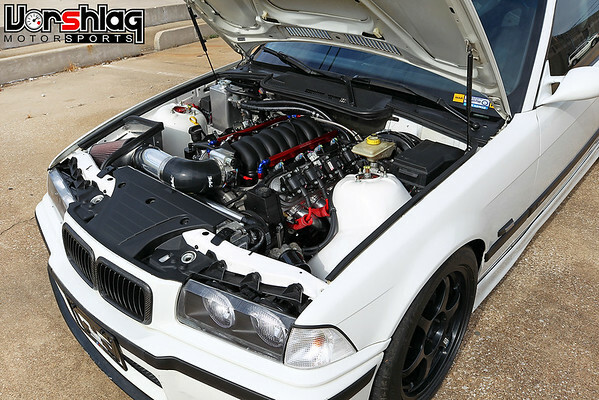 The Vorshlag LS V8 swap kits for the BMW E36 (see above), BMW Z3, or BMW E46 chassis are all built around a stock Borg-Warner/Tremec T56 from a 1998-2002 Camaro -or- an aftermarket Tremec T56 Magnum 6-speed manual. We use a specific bellhousing to mate these to any GEN II or GEN IV LS series engine for our swaps. To mate up to this bellhousing you need this starter. This is a brand new starter - no rebuilds, no core needed. We've used this particular ACDelco unit many times without issue. Similar GM LS3 and other factory starters will not fit with this bellhousing / header combo. We are offering this to solve problems we have run into on previous swaps - this is the right part. It uses a particular set of "long and short" GM sourced starter bolts to mount to the block, which we offer as an option on this product entry.